*if you got into fullscreen mode, the native MacOSX Menu bar is hidden. 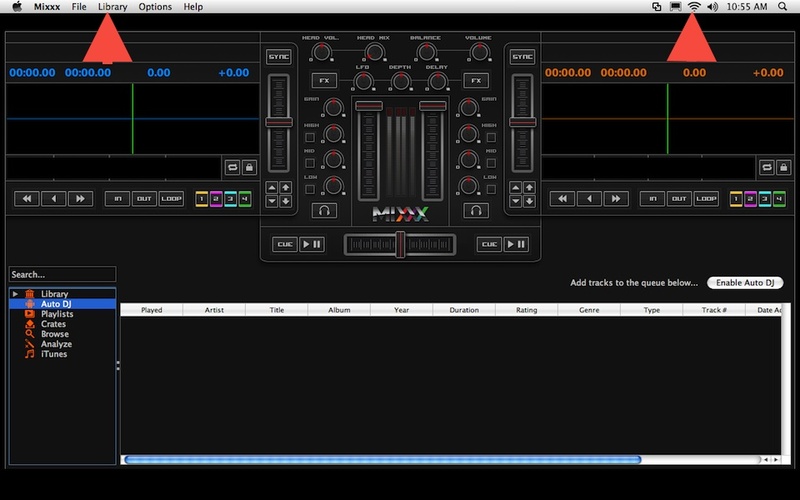 A separate menu bar ist always shown instead with only the Mixxx controls visible. *if you got into fullscreen mode, the MacOSX Menu bar is hidden. if you move with the mouse on top of the screen the native OSX menu bar appears with all the system controls + the various mixxx options . If you move the mouse down again , the menu bar disappears. This is the correct behavior. We should make sure to restore the correct behavior as the current one overrides the OS defaults and is probably a reason for rejection from the app store too. is an other try to fix the problem. Can you please also verify if the menu bar is fine after skin change? Menu bar is now fine if going full screen and back to windowed view. After skin change the menu items in the menu bar are gone like in #6.
tested latest mixxx-1.11.0-alpha2-daschuer~daschuers-trunk-bzr2985-macintel32.dmg and can confirm that fullscreen works flawless again with OSX 10.5.8 & 10.6.8. 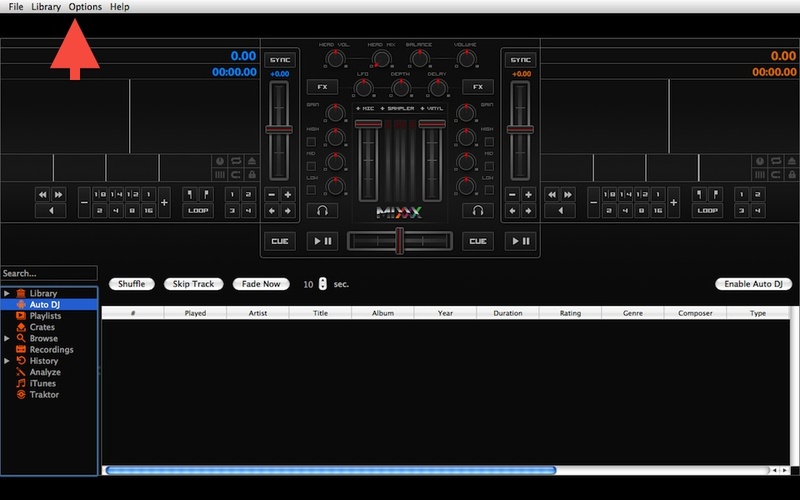 Unfortunately Mixxx does not start in my 10.7 VM due to OpenGL errors. Fix confirmed working with OSX 10.7.4 too.